Memorial to the Falklands war. 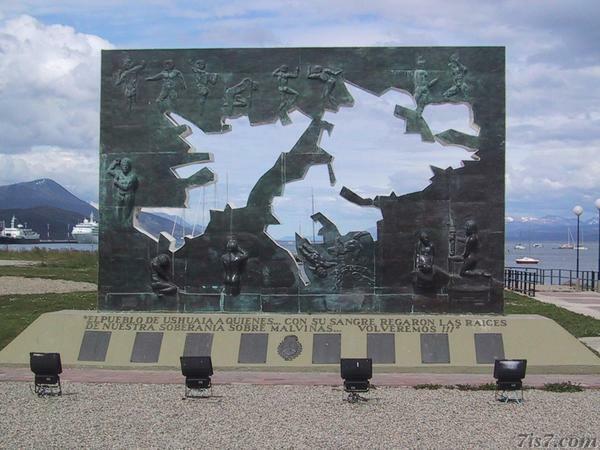 The text reads: "The people of Ushuaia who, with their blood, irrigated the roots of our sovereignty over the Malvinas (Falklands)... We will return!!!". That last part seems a scary prospect for another war! Ushuaia, Argentina.